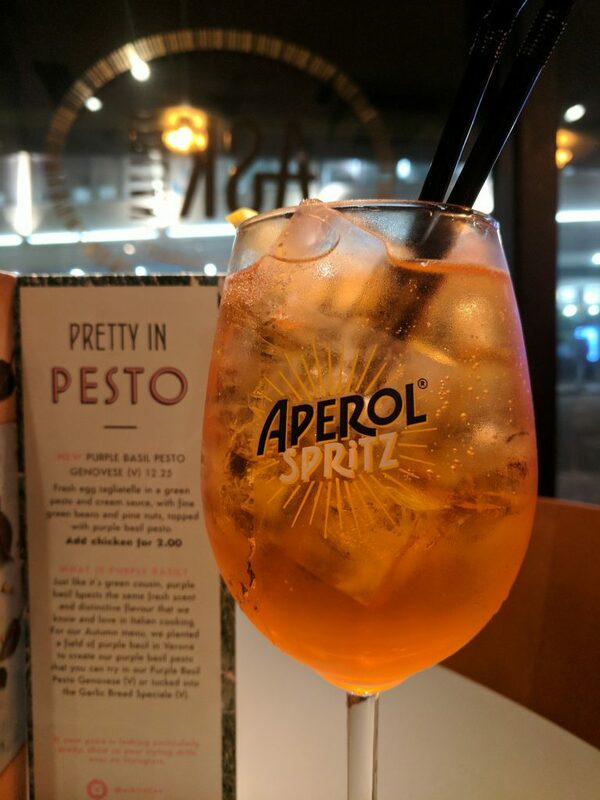 ASK Italian, the national Italian restaurant chain, has launched their Autumn menu across all sites this week, which includes an eye-catching new food trend. 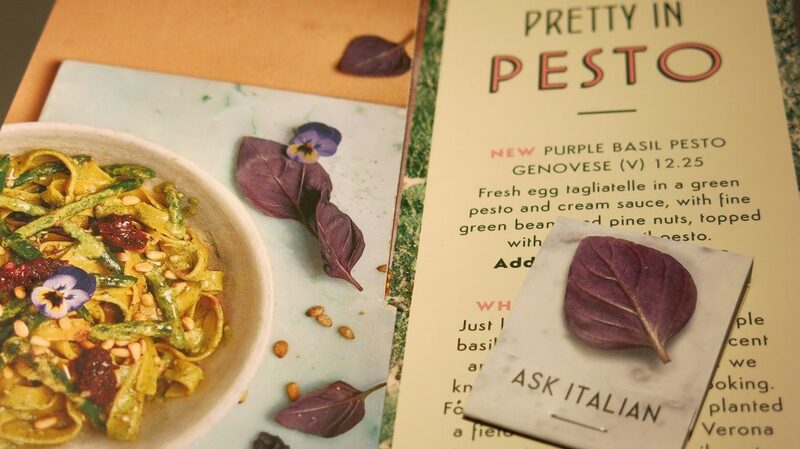 As the first UK restaurant chain to offer Purple Basil Pesto, ASK Italian has brought two new additions to their menu adorned with the autumnal purple; Garlic Bread Speciale with Purple Basil Pesto and Purple Basil Pesto Genovese fresh pasta. So wanting to find out what this was all about, I popped into my local Ask Italian in Reading. 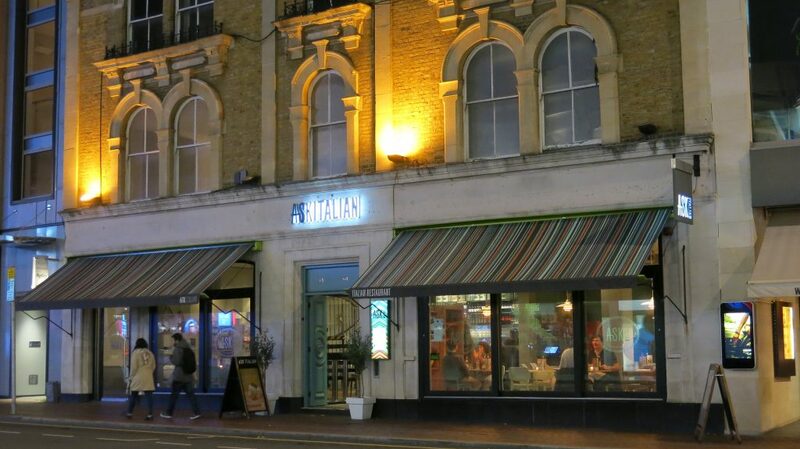 I went with my Vegan chum on a Sunday night, and although many other places looked empty, Ask Italian wasn’t. Always a good sign. The restaurant is nicely spaced with simple and clean, almost retro furniture. On entry, we were warmly created and offered a complimentary home-made lemonade ‘amouse-bouche’ while cocktails were ordered. It was a mild night, so the ever-fashionable Aperol Spritz was the obvious choice, although the Elderflower Gin and Tonic was a close second from a whole range of new Autumnal Cocktails added to the list. The wine list also had a good range, with all wines at reasonable prices and certainly nothing there to break the bank. 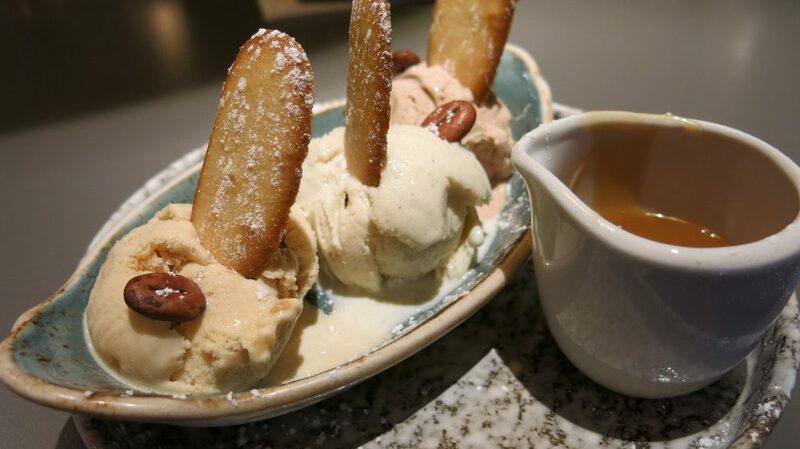 The standard menu is full of traditional Italian starter plates, pasta dishes, pizzas and the amazing desserts. But Ask Italian also had an entire large menu solely of vegetarian and vegan dishes, so there was plenty of choice. My friend seemed to spend ages choosing, such was the range of things she could eat here. The waitress clearly knew the menu and offered tips on some items that could be added or taken away to enhance any meal. All the food is made fresh per order, so basically it can be made how you want it to be. 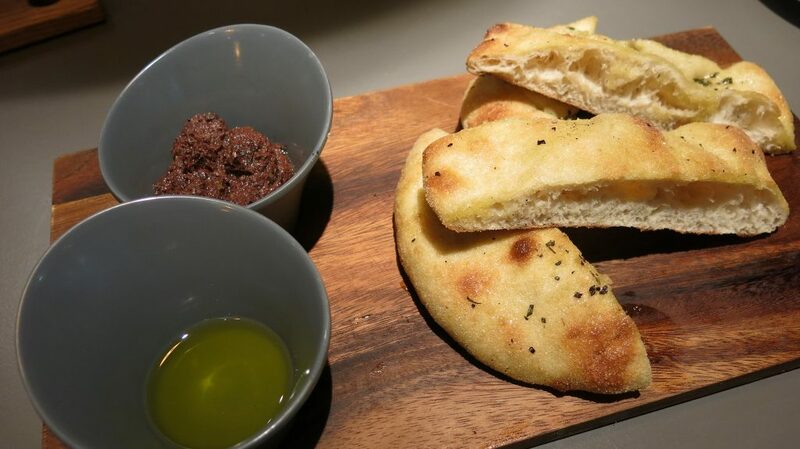 The food team at ASK Italian have experimented with the two of the nation’s most loved Italian dishes on the menu to add a colourful twist to their Garlic Bread Speciale, and the Italian classic Genovese fresh pasta dish. So obviously I chose these two dishes so that I could fully explore the purple basil. My date chose an Ask Italian Vegan Rosemary and Sea Salt Bread starter and a Vegan Fettucine Con Verdure for her main. 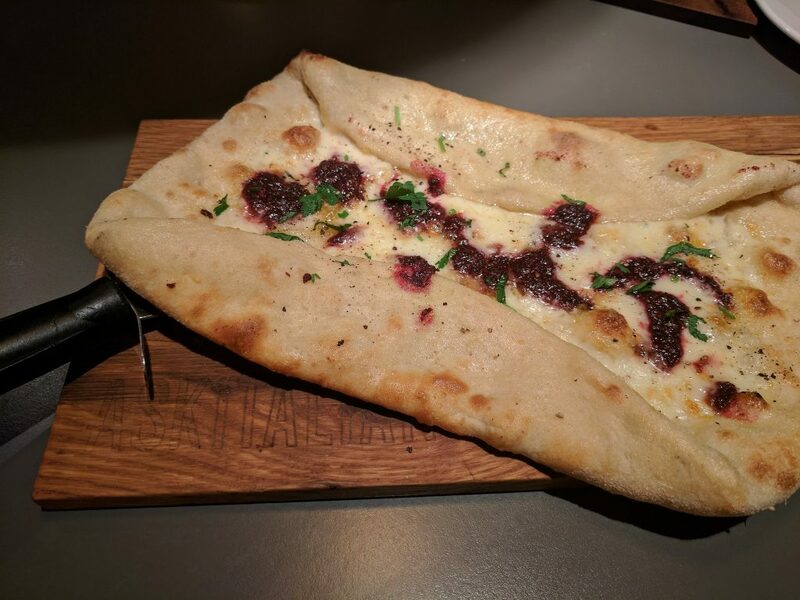 My Garlic Bread Speciale was exactly that – special. Very light and airy, drizzled with oil and soft melted cheese, with large drops of Purple Basil Pesto along it. Although larger than the Rosemary and Sea Salt Bread, it was a lot lighter and less filling, which is perfect for a bread-based starter. The Purple Basil Pesto adding a tartness that cut through the oil and let the cheese flavour come out much more than it would have done normally. I must have looked a bit weird slicing the Speciale up into pieces with and without the Purple Basil so I could test and review how it was with or without. Purple Basil Pesto has a punchier flavour and a more striking look compared to its green Pesto counterpart. It can add a certain ‘tartness’ to pesto or salad which actually brings out the other flavours that regular pesto seems to swamp. So Ask Italian, working closely with a small, family-run farm in the Verona countryside, is producing a small batch of only 3 tonnes of Purple Basil Pesto to incorporate into their new Autumn menu. 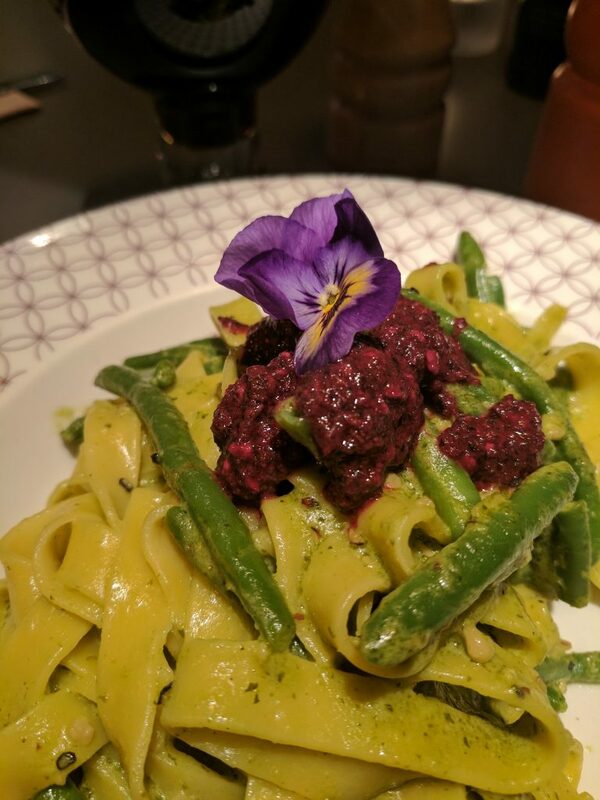 My Purple Basil Pesto Genevese was presented in a stylish manner, with the purple basil sitting atop the fresh egg tagliatelle mixed with green pesto and cream sauce. Having the Purple Basil on the top allowed you to try the dish with or without it, and this really gave you the ability to decide whether you liked it or not. And for me, I loved it. The Purple Basil not only has its own flavour, it somehow releases the other flavours in the dish. Oh, I ate the flower too. Clearly, Ask Italian wants to serve food that is stimulating to both taste and vision, and the Purple Basil Pesto Genevese aced that. I fully expect to see purple basil offered on other dishes as the Verona farmers grow more of it. 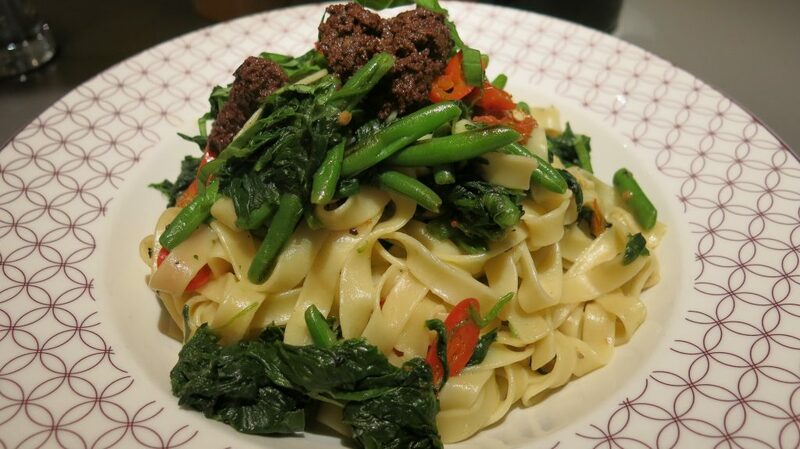 My date’s Vegan Fettucine Con Verdure, of flat ribbon pasta and fine green beans, oven roasted tomatoes and spinach, was presented in a similar manner, with an olive tapenade on the top. The dish sizes are impressive, so we barely had room for any dessert. I say barely, but I managed to squeeze in a small ice cream, from a large menu selection including chocolate sauces, pannacotta, tiramisu and much more. A simple choice, but the presentation, and hot caramel sauce to pour over made it special. Customers who order one of the special Purple Basil Pesto dishes to eat-in will receive a complimentary packet of Grow-Your-Own Purple Basil Seeds to take home. Those feeling inspired after their meal can support the food trend by growing their very own Purple Basil plant from a windowsill or adding a ‘Purple Patch’ to an indoor herb garden. I now have a pot growing on my kitchen windowsill. But don’t think I will be making my own pesto! I will just be adding the leaves to regular salads to enhance their flavours. ASK Italian is one of the UK’s leading casual dining restaurant brands, with over 110 restaurants throughout the country. There is sure to be one near you where you can be the first to try the amazing Purple Basil Pesto. 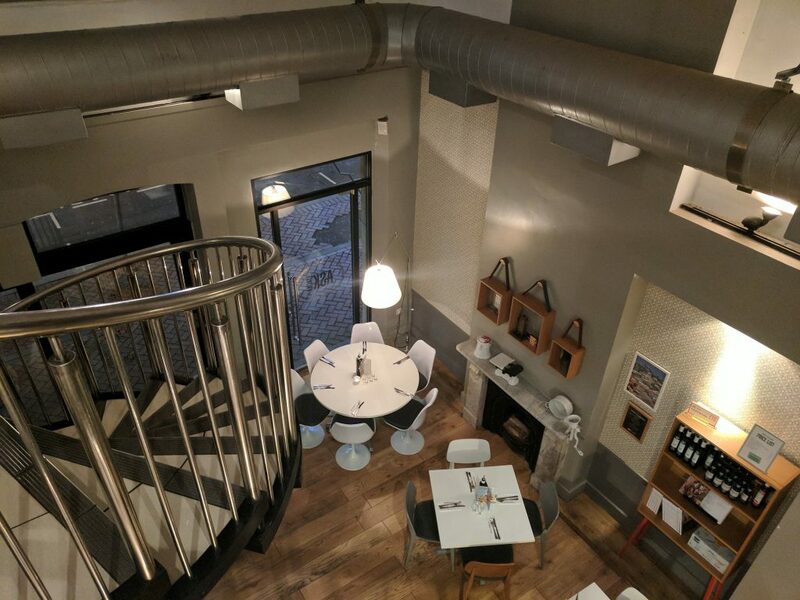 We dined at Ask Italian Reading, Orbit House, St Mary’s Butts, Reading, RG1 2LN but you can find your local branch on their website.